Fans are still getting over the wild and crazy events that took place in Las Vegas this past Saturday night, when MMA rivals Khabib Nurmagomedov and Conor McGregor went to war and then some. As fans know, winner Khabib went nuts with rage and, after climbing out of the cage, attacked a member of McGregor’s team, while McGregor was then attacked in the ring by Khabib team members. It was carnage, even to the extent that it shocked ringsider Mike Tyson. 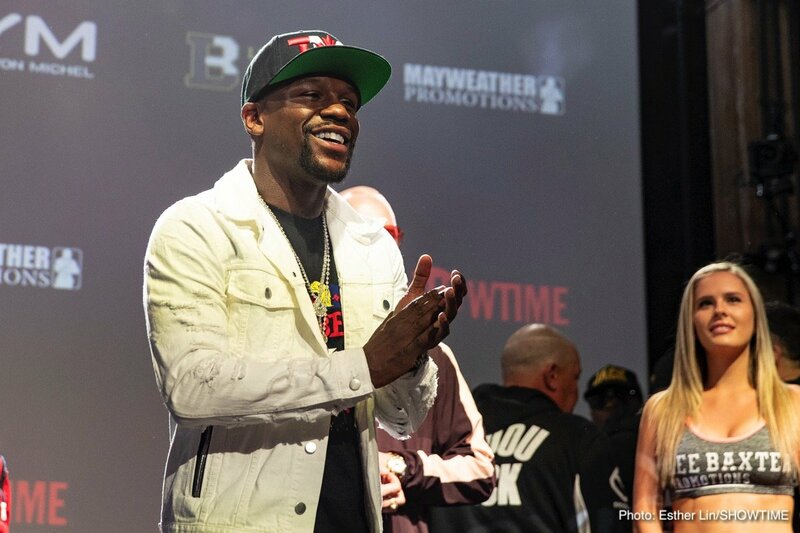 Now, Floyd Mayweather has put forward his two cents, telling us all how the behavior of Khabib was “very unprofessional.” Mayweather compared the chaos inside The Octagon to the ring melee that took place during his April 2006 fight with Zab Judah. As fans may recall, the place went nuts that night, also in Vegas, after Zab cracked Floyd with a hard low-blow. The ring soon filled with bodies and the fight had to be halted for what seemed like a very long time. Mayweather was able to maintain his composure and, when the bout with Judah resumed, he won handily on points. McGregor was of course utterly beaten before the craziness began. We’ve seen these kind of chaotic events before and you can bet your bottom dollar we will see them again. As for Floyd and his next move, he is currently out visiting Dubai and Abu Dhabi, and speculation is rife regarding what he is doing there. Some people suggest “Money” is negotiating that massive-money return fight with Manny Pacquiao. Floyd WILL fight again, you can bet on that. We just have to wait for his next official announcement. Don’t expect to see Mayweather fight in a cage, though. Next boxing news: Terence Crawford quotes for Saturday’s fight against Jose Benavidez Jr.